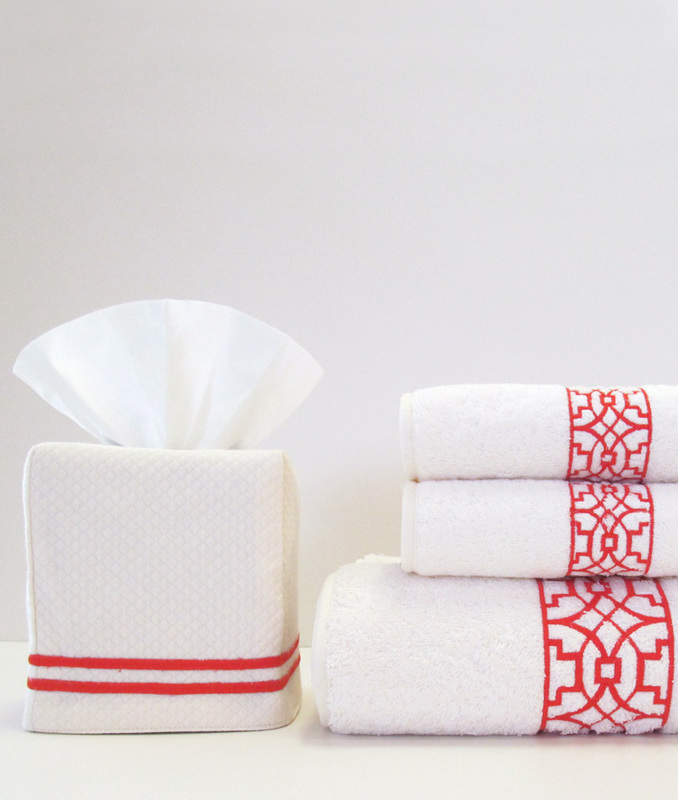 Our Tissue Box Covers are available in your choice of Dakota White or Ivory with any Matte Thread color. Also shown Duet Embroidery Towels (see link below). Coordinates with our Duet Embroidery Bedding, Sheeting and Towels.